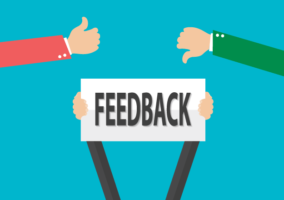 Chris Stainthorpe of CustomerSure shares his preferred method for collecting customer and advisor feedback, before sharing five tips to help get you started. Little did my mum know I’d become an avid fan of abseiling, but her point stands. We’re all occasionally guilty of doing things just because “everyone else is doing it”. It won’t come as a surprise to learn that if you’re collecting feedback for reasons like these, the outcomes for you and your customers won’t be great. 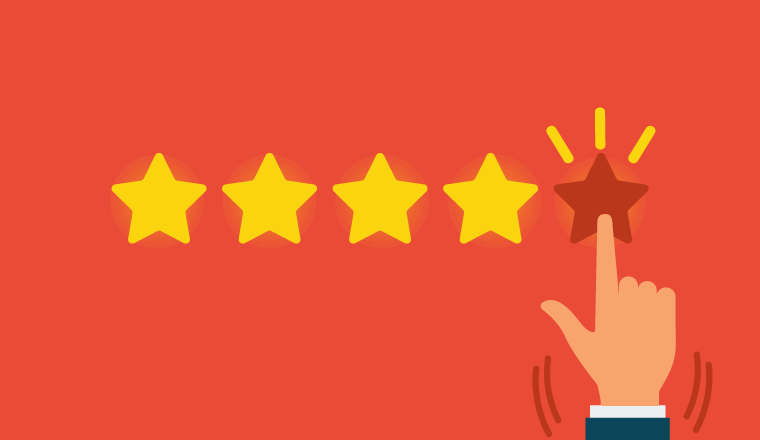 Because time and time again, we’ve seen that doing feedback right for the right reasons, in the right way is the single best investment a customer contact team can make in increasing customer satisfaction. Which means it’s the single best investment you can make in improving team morale and profitability too. If you’ve ever tried open feedback but not been blown away by the results, don’t worry. We’ve got a simple method based on 30 years’ industry experience and refined by 8 years of working with our clients, which guarantees a feedback system that delivers results. The first, and most important, thing you can do to have an effective customer feedback process is be 100% clear on why you’re doing it. We’ve already touched on ‘bad’ reasons to collect feedback, like “everyone else is doing it”. But there’s another clutch of reasons that you need to beware – ones which sound reasonable on the surface, whilst not doing much to improve satisfaction in practice. They all sound sensible, and other people are doing them. But copy those people at your peril – these are not great reasons to collect feedback. Don’t misunderstand. Doing process improvement is fine. There’s nothing wrong at all with market research, and it is a good idea to measure satisfaction. But they’re all by-products of a great feedback process. Collecting feedback for any of these reasons is like picking a car for its stereo. We’ve found that you get best results (the happiest customers, the most dramatic decrease in stress, and the biggest boost to your bottom line) when your reason for starting a feedback project is to make customers happier. Use feedback to directly make customers happier. Being listened to makes people very happy, which means that simply listening is one of the most powerful things you can do to improve customer satisfaction. There’s a million things you can do with good feedback when you’ve collected it. But none of those things has the same impact on your bottom line as collecting feedback itself. So make that your reason to get customer feedback: getting it right raises customer satisfaction. There are a few small ducks you need to get in a row to build a truly effective feedback process. First and foremost, you need to ask at the right time. When your customers would naturally want to give feedback. This is different for different businesses. For our clients in the utilities sector, it can be post-call (i.e. after a billing enquiry), or after an emergency or an engineer visit. For our technology clients, this can be post-call, or shortly before a new billing cycle. Our healthcare clients often ask a few hours after a clinical appointment. But every business has a few touchpoints where customers would naturally want to give feedback. That’s when you should ask. 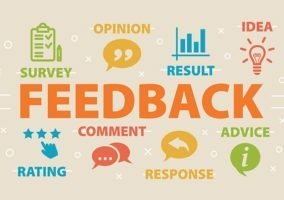 In general, you should avoid things like annual surveys (although they’re fine for market research) – you can’t do much to delight a customer when you’re reading feedback about something that happened 11 months ago – if they’re still a customer at all! 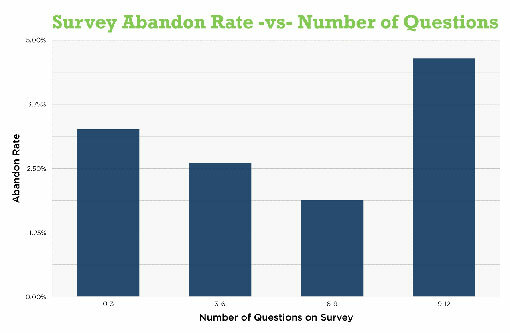 Secondly, to gather really effective feedback, you need to ask good questions. If every business asked this question at the right time and dealt with the responses appropriately, customer satisfaction everywhere would skyrocket overnight. So make sure that when you send out feedback forms, you at least give people an opportunity to tell you how they’re feeling. Conventional wisdom holds that you have to ask the bare minimum number of questions on an online form to get people to fill it in. We’ve already asked 2, so that gives us 4 or 5 extra questions we can ask if we need them. The answer’s the same as before. The right questions will depend on your business, your industry, the touchpoint you’re asking for feedback about and your brand. But they should always be things the customer wants to answer, rather than just things you want to know. No harm in saying it again: There’s nothing wrong with market research (i.e. your marketing team asking customers lots of questions), but there’s something very wrong with trying to ‘mash up’ customer feedback and research. If a customer’s got a burning problem and is urgently trying to get in touch with an advisor who can help them, and you land a marketing questionnaire in their inbox, is that a great customer experience? Or is it going to cause frustration? For your feedback process to be effective, you need to deal with feedback – when you receive it. Every time we work with a new client, we find the same thing – responding to feedback is a net time-saver for them. Within reason, no business would walk away from a sale. A customer offering to spend more money would be immediately transferred to an agent on the ‘new business’ team. But when it comes to retention, businesses are remarkably blasé about leaving cries for help in the form of customer feedback unanswered. Which is wild when research shows that increasing retention 5% can increase profits by at least 25%. You’ll see customer satisfaction (and profit) start to rise. Which is the entire point. But you’ll also be getting more and better feedback. It turns out that when you make your feedback process great for customers, more customers take advantage of it. Our clients use the data they collect for staff training, for QA, and as an input to their process improvement teams. Some use it to identify their ‘super-fans’, and approach them for testimonials, case studies and market research. Some of our clients with external auditing requirements use their feedback to make their case to auditors that they’re doing right by their clients. All this gets easier when it’s built on the shoulders of an effective feedback process. Finally, the best thing about getting feedback right is it’s really easy to experiment with to see if it works for you. You don’t need to spend a fortune on software or consultants, or start a campaign to get the rest of your organisation on board. Pick some questions, pick a touchpoint, send out some simple surveys, and make sure you’ve given someone on your team the resources to deal with the feedback you receive. Share your results, and pretty soon the rest of the business will be asking you the secret to your success.